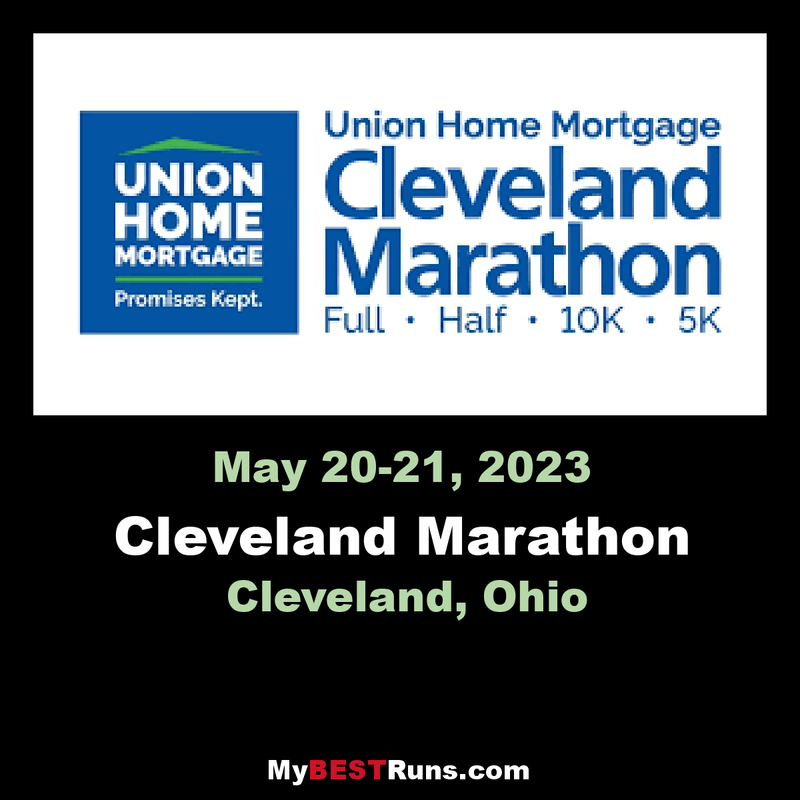 The Cleveland Marathon features a relatively flat and fast course, great volunteer support and a scenic view of downtown Cleveland and its major landmarks. The course has been designed for our athletes to enjoy views of Browns Stadium, the Rock and Roll Hall of Fame, Lake Erie and many other Cleveland highlights. The Cleveland Marathon began in 1978 in an effort to bring a positive and meaningful fitness event to the City of Cleveland. The original course began at Cleveland State University and traveled west to Bay Village and back. Some of the race's most tremendous growth has occurred under the Rite Aid Pharmacy sponsorship since 2003, in which time race participation has grown 300 percent. First to offer finishing runners large cash prizes. $150,000 total for the 10K and Marathon winners (male & female) was the first cash prize in 1988. First to invite elite runners from the Soviet Union to the marathon during the Cold War. First to incorporate a 10K race into the marathon events in 1978. World record (former) in the 10K for a male, 27:20, was set in 1996 by Joseph Kimani of Kenya. One of the 50 oldest marathons in the country. The half marathon event was added in 2005 for runners or walkers. 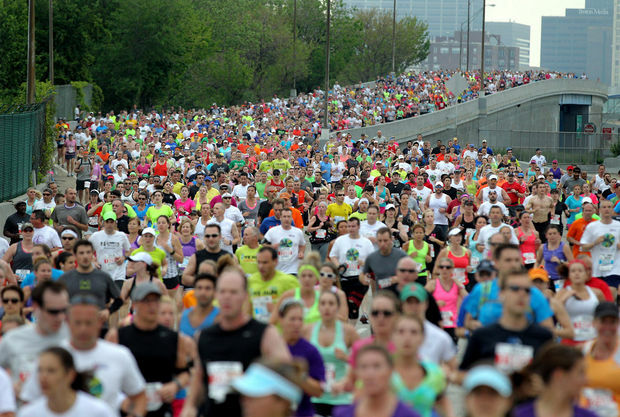 Cleveland Marathon changed its course for the first time, in order to view many of the scenic aspects of the city, in 2004 for its 27th race. 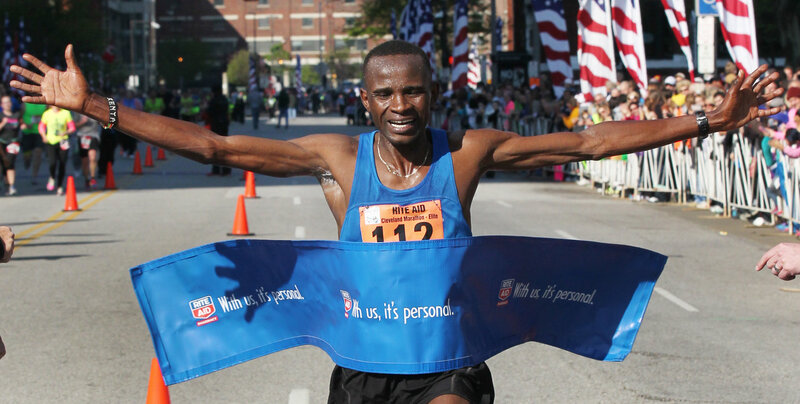 Three people have won the Cleveland Marathon three times each. The starting spot will be on Ontario St, at the northwest corner of Quicken Loans Arena and the finish will be at Superior Avenue and W. 3rd Street.